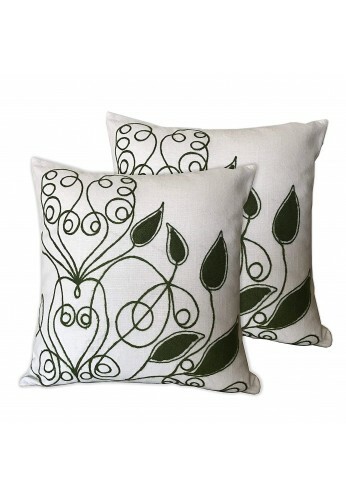 Durable and luxurious, DecorShore's exquisitely designed pillow cushion covers are true works of art taking over 5 hours each to create. Decorative accents pillows are made of soft and silky velvet, fully lined, and feature a heavy-duty zipper for easy removal. The art of seasonal decorating and trend decorating is effortlessly achieved using throw pillows and accent pillows covers. Versatile, fast and easy to rotate from season-to-season, decorative accent covers feature unique, handcrafted designs. 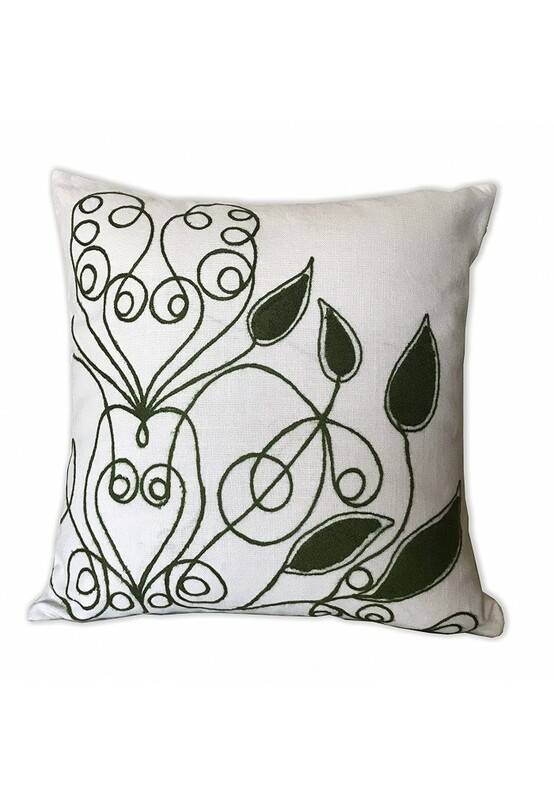 The “Harper” pillow cover lends a bit of Mid Century flair with the curly leaf patterned line drawing that recalls the Pop Art & Culture of the 1950s & 1960s. 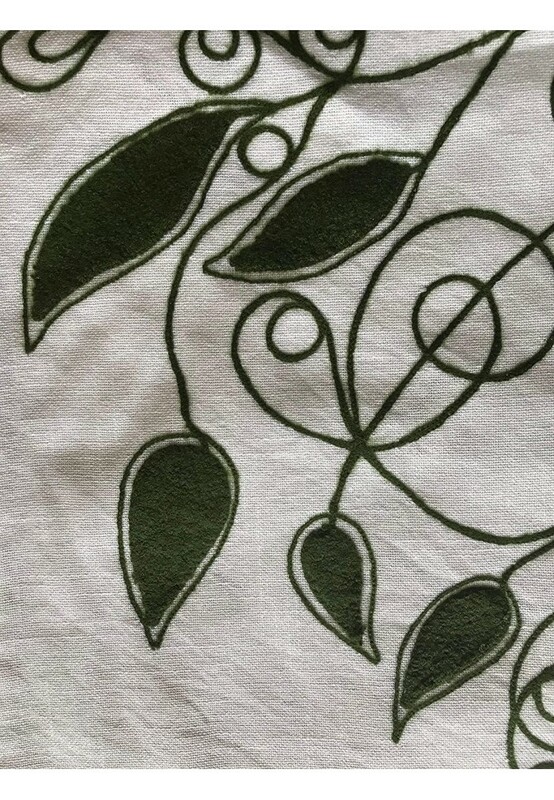 Featuring wandering, green foliage embroidery in a scrolled leaf line drawing pattern delicately dancing atop an ivory beige colored jute fabric cover. DecorShore’s products are always artisan handcrafted, and limited in quantity and design. Visit our seller profile to see that we care about service, quality and unique decorative home accents. Care Instructions: Spot treat with light-colored microfiber cloth to ensure no colors are transferred from the cloth to velvet cushion cover. Hand wash only. Line Dry.